The Crossing at Quail Meadow&apos;s is the City of Imperial&apos;s newest residential neighborhood. These homes have no CFD Facility Tax, and are located in the award-winning Imperial Unified school district. It is the only new-neighborhood with all single-story homes that feeds directly into Ben Hulse Elementary school. Whether you&apos;re a first-time home buyer or just looking to downsize, this neighborhood is perfect for you. These are quality homes built by an Imperial-based developer with 35 Years of experience in residential construction, commercial construction, construction management, and real estate development. Our floor plans have been featured in the December 2018 edition of the Professional Builders Magazine. 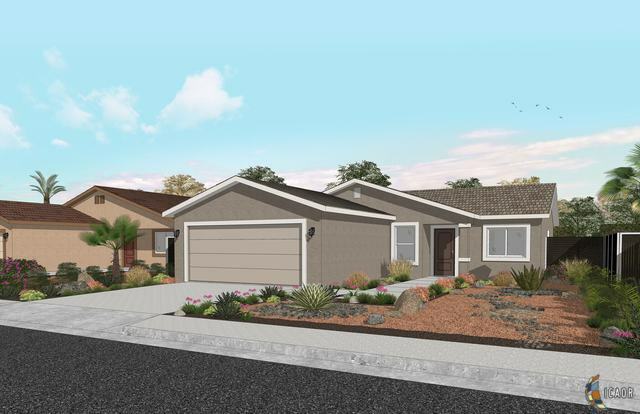 These energy efficient homes are solar ready and feature spacious open floor plans, with a variety of upgrades available. Don&apos;t miss this opportunity to customize or upgrade your home! Sales office located next to Pentagonal Brewing Co. in Downtown Imperial.